Why pay more? CHA provides an unbeatable combination of high quality and value that’s unmatched in the field of educational travel. At CHA, we want to give students the opportunity to see the world affordably without cutting corners on quality. For over 50 years, this commitment has been what sets CHA apart and keeps our teachers and students coming back year after year. When you travel with CHA, you take advantage of the buying power we’ve earned due to our volume of travelers, our experience and our excellent reputation in the travel field. Unlike other companies who hire outside tour operators at a substantial mark-up to their travelers, CHA owns and operates its own overseas offices whose staff works year-round to secure the best prices. By buying services in bulk for tens of thousands of travelers, we earn huge savings from our suppliers that we pass directly onto you! With CHA, you don’t have to pay more to get more. Dollar for dollar, there is simply no other educational travel company around today who can match our unbeatable combination of high quality and low prices. We encourage teachers to be smart consumers and to compare our tours with those of other companies by analyzing the services included in the price. You will soon discover that CHA tours are priced hundreds (even thousands) of dollars lower than those of other educational tour companies offering similar quality services. Teachers who take the time to compare will recognize how much more value your students receive when traveling with CHA. Students who enroll on a CHA 2020 tour by our early enrollment deadlines can earn up to $350 in savings. For complete details and enrollment deadlines, click here. 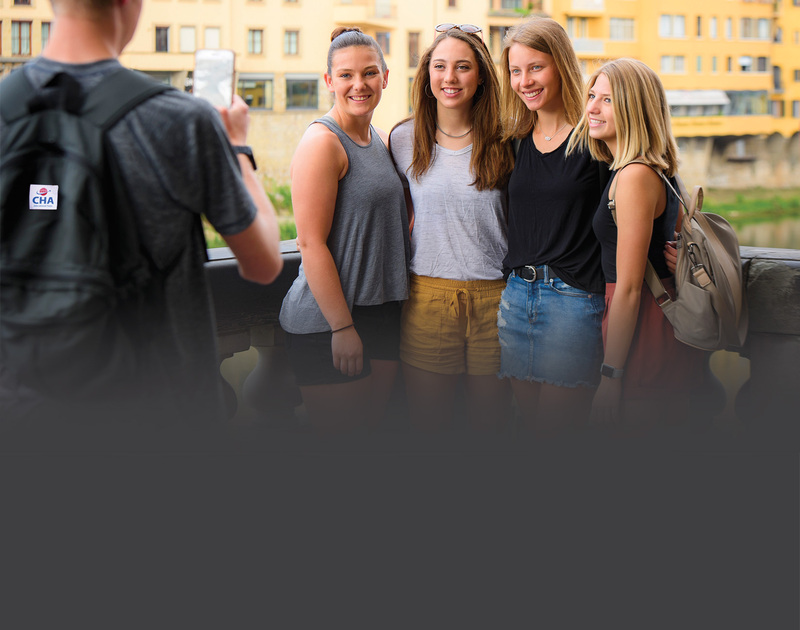 When your students enroll on a CHA tour, you can feel confident knowing that the prices for your selected itinerary are locked in and guaranteed not to increase. To find a tour and get a tour quote from your departure city, visit our Find a Tour page. CHA's Value Tours are affordably-priced, introductory itineraries that have been designed with our budget-conscious travelers in mind. For a list of CHA's 27 Value Tours offered for travel in 2020, click here.